Sabah Borneo’s geographical structure is not only a mix of beaches and tropical rainforest, but it also has mountainous terrain, which is mostly in the western part of Sabah Borneo. Apart from that, this mountainous terrain has one of Malaysia’s highest mountain being part of it, located on the Crocker Range; Mount Kinabalu is truly a sight to see (4,095 meters above sea level). There are also several mountains and hills in Sabah Borneo that are traversed by an extensive network of river valleys and most are covered with dense tropical Borneo Rainforest. With these mountainous terrains of Sabah Borneo, it is not a surprise that Sabah Borneo is also rich with many spectacular waterfalls, some are not known to many and probably have not even been discovered yet! For the ones that are known or have been discovered, below is the list in which you can put into your Borneo Holidays wish list. Langanan Waterfall is located in Poring Hot Springs, Ranau, and it is considered one of Sabah Borneo’s highest waterfalls at about 120 m in height. It is suitable for adventurous trekkers as it requires about 2 hours (or more) trekking through the lowland tropical forest in order to reach the waterfall. Just don’t forget to wear leech socks and wear some waterproof shoes or jungle rubber shoes known as Adidas Kampung to avoid the slippery ground. Kipungit Waterfall is also located in Poring Hot Springs and it takes about 20-minutes walk from Poring Hot Springs to reach there. With a height of only about 12 meters, this waterfall offers a perfect place for group or families to go for a picnic and enjoy the refreshing bath. Take a 1 hour and 30 minutes drive from Kota Kinabalu City, passing through small villages and forests on the Crocker Range, until reaching the serene district of Tambunan, where it houses one of the most beautiful waterfalls in Sabah; Mahua Waterfall. A pristine natural waterfall that is nestled deep in the tropical forest of the Crocker Mountain Range, it became one of the top local destination among the locals for a weekend getaway. Apart from that, Mahua Waterfall area also offers nature enthusiast to witness the various species of flora and fauna. Ulu Kionsom Waterfall is the closest recreational park in Kota Kinabalu City, as it is only about 20 km away from the city or a 30-40 minutes drive from the city. To reach the park, you will pass the entrance of Mari Mari Cultural Village, which is one of the famous tourist destination that showcases Sabah Borneo’s cultural heritage. The recreational park is also known as waterfall park because of its unique features of having multi-tiered cascades of waterfalls over a hill slope. The lowest level is easily accessible via a cement walkway and it is a famous spot for families as well as groups to gather for picnic. However, the upper tiers can only be accessed through a steep jungle trail from the entrance. Please be cautious when walking every step as it is slippery! Gelas Hill Waterfall is located in Tawau Hills Park, which is about 24 km and a 30-minute drive from Tawau Town. A lush green forest and protected park that offers naturalist with its diverse species of flora and fauna that can be found there. To reach Gelas Hill Waterfall, a jungle trail is provided and you will need to walk through the trail for about 2.4km (Note: Be careful when walking on a jungle trail when it is raining, as it will be very slippery and muddy). However, once you reach Gelas Hill Waterfall, get ready to be in awe by the marvelous waterfall view and feel the tranquility of the area. In addition, Gelas Hill Waterfall is also known for its famous picnic spot for families and friends, some adventurous and nature lovers can also camp there in order to experience more on the nature’s beauty in that area. Tawai Waterfall is considered the biggest and least-known waterfall in Sabah Borneo. With its height about 95 meters, it is located deep inside the Tawai Forest Reserve, a Class I protected forest managed by Telupid Forestry Department. Therefore, you would need to apply for a permit from Sabah Forestry Department Headquarters before entering the protected area. To reach Tawai Rainforest Camp, you would need to drive about 4 hours to reach Telupid Town first from Kota Kinabalu City, and another hour drive from Telupid Town to Tawai Rainforest Camp (depends on weather and road condition). Once arriving at Tawai Rainforest Camp, continue on a jungle walk and witness many species of Borneo Pitcher Plants along the way until you are welcomed by the spectacular view of the waterfall. Don’t forget to wear proper hiking shoes and bring some drinking water while trekking to the waterfall. Tawai Waterfall, Tawai Forest Reserve Telupid. Murug Turug Waterfall is the newest tourist destination especially for those who are into hiking activity. One of the hidden gems in Sabah Borneo and located at Minangkob Village in Tamparuli district, which only takes about 1 hour 30 minutes drive from Kota Kinabalu City (For more information, you can check on their facebook page). Before reaching there, you will need to make some booking first before going there, and there are three packages offered ( Package A: Murug Turug Waterfall – 4km return; Package B: 5km return – 3 waterfalls; and Package C: 12km return via Malas Kalas Trail & witness 7 waterfalls) for you to choose. In addition, if you are interested to experience the natural wonders of Murug Turug, be sure to wear proper hiking shoes or the jungle rubber shoes which known as “Adidas Kampung” when you go for a hike and exploring the area. Moreover, feel free to bring some extra clothes, just in case you feel tempted to go for a swim at the clear emerald green river of the waterfall. Listening to the gushing sound of waterfalls are always nice to hear, especially when you are there to witness it yourself. A delightful sight when you get to see the 40-meter Madai Waterfall, which is located in the Madai Baturong Forest Reserve, about 15 km from Kunak Town. It attracts many locals and tourist to witness this interesting waterfall which is often referred to as the twin waterfall because it cascades down on two separate sides but merges together when there is a heavy downpour of rain. However, be cautioned not to swim beyond the shallow part of the river because it is known that there is a deep hole at the center of the pool area, plus there is no lifeguard in that area. Therefore, for safety precaution, you can just soak your feet in the shallow water and be mesmerized by the beautiful sight in front of you. An unusual sight if you get to see the 7-tiered Maliau Waterfall for your holiday adventure in Sabah Borneo. It is located deep within the Maliau Basin Conservation Area or known to many as “The Lost World of Sabah”. If you are an avid trekker, this place is considered an adventure to you with its surrounding unspoiled nature, rare species of plants, animal sightings and the Maliau Waterfall as your reward. However, you must obtain a permit to enter Maliau Basin in advance from Yayasan Sabah before deciding to go there. Moreover, you will need to venture into the pristine rainforests that took about 2-3 days(depends on weather condition) to reach Maliau Waterfall. Apart from these nine waterfalls discussed above, there are still many waterfalls in Sabah Borneo that are yet to be explored. Whatever it is, all waterfalls in Sabah Borneo are amazing when you get to witness it firsthand, and it will be hard for you to not remember the delightful sights of waterfalls as well as its beauty. Can’t wait to dip into the cooling waters of the waterfall? 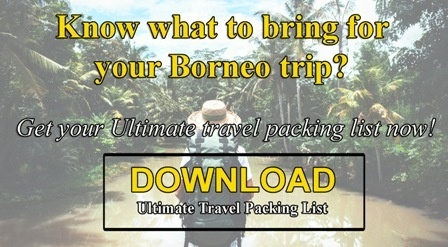 Then, start planning yourself to make a trip to Sabah Borneo! Have you ever been to Tawau before? It is the third largest city in Sabah Borneo and it plays an important role as major producer of tobacco, cocoa, and palm oil. It is located on the south east coast of Sabah Borneo, and shares a border with North Kalimantan, Indonesia. However, most travelers will only stop by Tawau for a short trip as it is a main gateway to the fabulous world’s top diving spots of Sipadan Island, which is located in Semporna. Although Tawau itself is not popular among tourists, it actually has many interesting destinations that no one ever notice before. So, here are 5 things you can do in Tawau after your diving activities in the islands of Semporna. Since Tawau is one of the biggest producer of cocoa in the world, for sure there will be a production area in Tawau, and it is known as Teck Guan Cocoa Village & Cocoa Museum. The cocoa museum was open for public in 2004, located within a village area called Tanjung Batu, which is roughly 20-30 minutes drive from Tawau City. However, an advanced booking is needed before going for a tour at the cocoa museum and it is recommended to go there in the morning. Fret not, there will be an in-house guide to show you around the museum, starting from watching a 20-minute short clip on cocoa history, to cocoa sampling kitchen, and finally to cocoa processing factory. In addition, you can also experience the nature and fresh air by going for trekking along the tropical rainforest of Cocoa Culture Spring which is about 1-2 km that will lead you to the waterfall. Looking for the best dried seafood in Sabah Borneo? Then, you should make a visit to Tawau Tanjung Market to purchase it. Equipped about 6000 stalls inside it, this 3-storey market is known to be the largest indoor market in Malaysia! This is because you can find everything here under one roof, as it offers almost all kinds of daily essentials and other goods, from the freshest vegetables, sea and agriculture produce, local snacks, dried seafood, handicrafts, pots and pans, toys to clothings. Apart from that, you can also find interesting products from Indonesia that are being sold there too. This is a good place for you to come as your last stop to purchase souvenirs or dried seafood before departing. Just don’t forget to haggle (even the locals do too!) when buying something from the market. Fresh Seafood can be found in Tawau! When coming to Tawau, you should not miss out to taste the delicious food that can be found in Tawau! One of the top things that you need to do in Tawau as the food is a mix of Indonesian and Sabah fusion, due to Kalimantan Indonesia being the neighboring state to Tawau. Moreover, Tawau is also known for not only among the freshest seafood in Sabah Borneo, it is also considerably cheap too! So, if you are a foodie type of traveler, a visit to Tawau will be like a food paradise for you. An avid hiker? Then, you should hike and explore the untouched Borneo Jungle which can be found in Gemok Hill Nature Reserve. It is a perfect place for a day hike, where the jungle offers you with it abundance of Borneo Wildlife, interesting species of plants and the tranquility greenery environments. There are seven resting huts provided for you to catch a breath as it will be an hour plus (depending on your fitness level) in order to reach the hill. After hiking, don’t miss out to go on the amazing canopy walkway which is known to be one of the longest canopy walkway (231 meters) in Sabah Borneo. Be amazed to witness the stunning scenery of Tawau Town, the picturesque coastline and the surrounding area. For nature lovers, a visit to Tawau Hills National Park is a must! It is located about 20 km away from Tawau Town which takes around 30 minutes to reach the quiet and secluded park while passing by hills of oil palm plantations. This park offers many locals and travelers a place for picnic, swim at the river, camping sites and chalets. However, the main highlight activities that can be done in the park is to witness some of the world’s tallest tropical trees, hiking through the lush greenery Borneo Jungle, witness diverse species of flora and fauna, birding activities, visit the spectacular Gelas Waterfall, Sulphurous Springs, as well as climbing the Magdalena Hills(1310m). There you go, these 5 things to do in Tawau will surely fill your Borneo Holidays with the memorable and exciting trip before or after you go to Semporna for diving activities! Spend a day or two in Tawau and you will eventually experience the unique adventure that you thirst for. Happy travels! Spending your weekend doing nothing can be relaxing for some, but some might feel bored and crave for some sort of an adventure over the weekend. If you are looking for a weekend activity, head out to Sinilou Kibambangan Water Park where you can enjoy swimming in segmented rivers (Don’t worry, it is safe for children! ), and gather together in a hut for a barbeque. Sinilou Kibambangan Water Park is the newest tourist spot in Penampang where you can spend some time together with your family or friends while relaxing in the hut. On top of that, Sinilou Kibambangan is located about 20 km from Kota Kinabalu city, and 5km away from Donggongon town; that’s really close by! In order to reach Sinilou Kibambangan Water Park, there are two ways that you can go, which is from Penampang – Tambunan road or from Inobong-Putaton-Bansadon road. If you are from Donggongon Town, drive towards to the Tambunan road. When you see a bridge on your right-hand side, turn right into that junction and continue driving straight until you reach a junction. Turn left from the junction and continue driving straight until you can see the waterpark on your left side. From Donggongon Town, drive towards the Old Penampang – Kinarut/Papar road, and turn left onto Inobong-Putaton-Bansadon road. Continue driving for about 18 minutes where you can see the waterpark on your left side. Fret not, there are few signboards of the waterpark that could help you to reach the waterpark. One of the many facilities that are provided for you in Sinilou Kibambangan Water Park will be open huts mostly with its own barbecue pit, public washrooms and dressing rooms, rivers turned man-made pools which are separated based on depth level, as well a rope swing! Don’t worry if you didn’t pack any food or drinks in your day bag, the locals set up stalls selling food and drinks as well to satisfy your hunger pangs. If you are planning to go for a trip to Kota Kinabalu, Sabah Borneo, then, you should stop by to Sinilou Kibambangan Water Park for a day trip. Enjoy swimming at the river, with great facilities provided for you, as well as the natural green environment surrounding the water park! A weekend trip like this is worth it when you spend it with your family and friends. 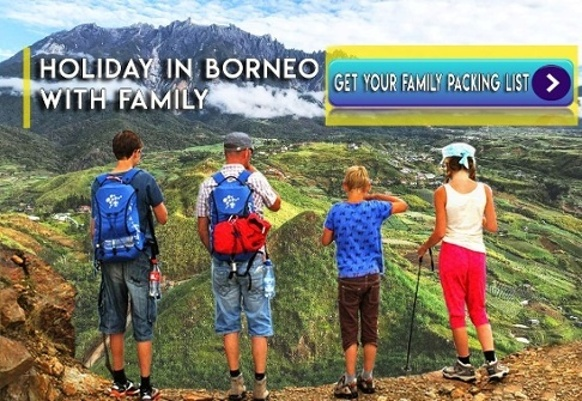 You can also read our other blog entry on Interesting places that you can bring your kids to go in Sabah Borneo for Borneo Family Holidays! or you can experience a traditional fish massage in Tagal Tinopikon Park, Penampang for your holiday in Sabah Borneo.